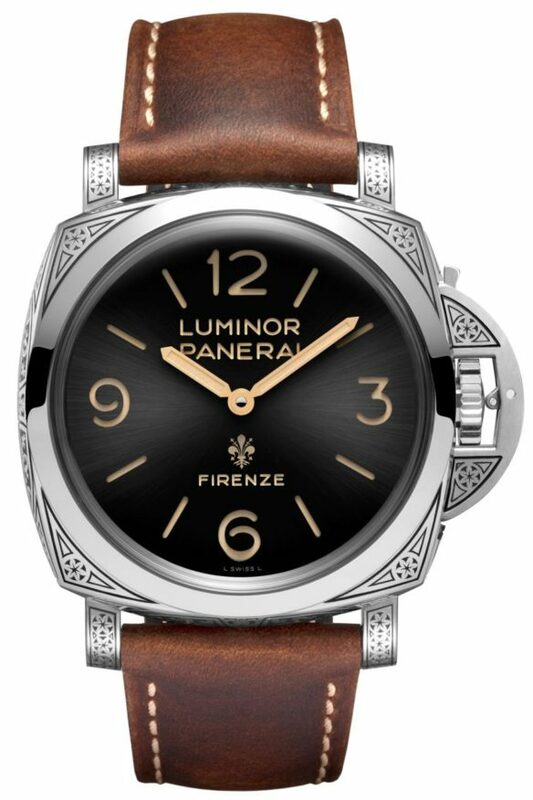 FROM a city founded by Julius Ceasar, birthplace of the Renaissance, once the capital of the Kingdom of Italy, financier of European industry (as well as the papacy), and the spot on which Michaelangelo’s David prudishly stands, Florence also has Panerai as one of its natives. 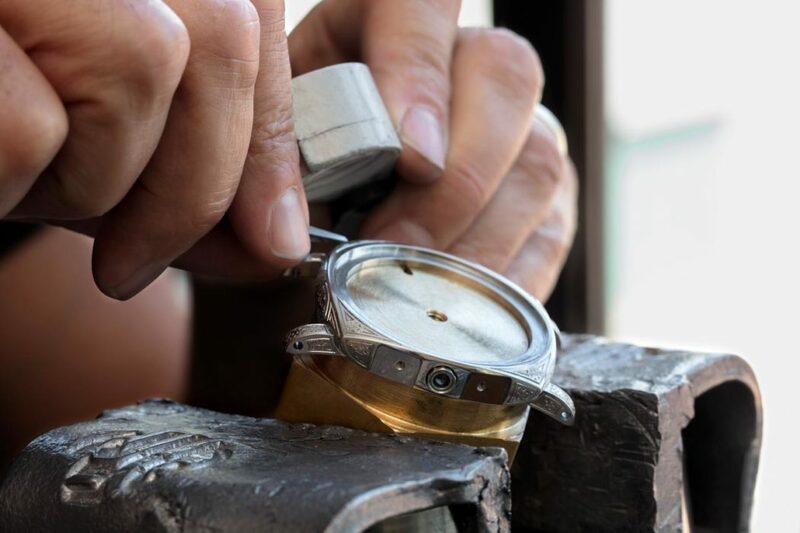 The watchmaker started out in this Tuscan city in 1860 from a store on Piazza di San Giovanni, in front of the Baptisery, and just a few steps away from the Duomo — you know, the Florence Cathedral. So, basically, it’s like having David standing in your driveway. 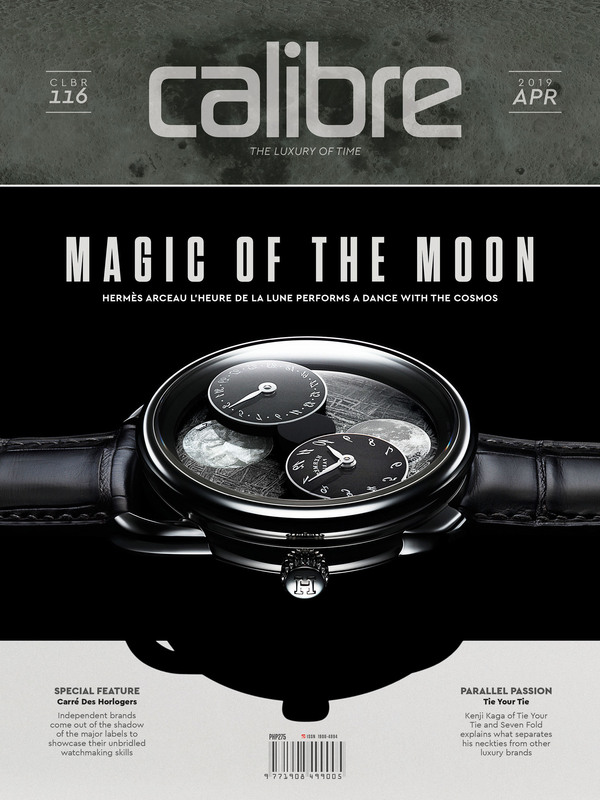 Guess it can’t be helped, then, that Panerai would manage to soak all this magnificence in; its original shop remains as its flagship boutique despite the brand calling Neuchatel its home now. And so occasionally this Florentine place inspires special pieces, the latest being the Panerai Luminor 1950 Firenze 3 Days Acciaio, or the PAM 972. Available exclusively at the historic boutique, the special Luminor unabashedly shows its Firenze roots through ample doses of Florentine flourish — namely engraving. The city counts over six centuries of history in this craft born out of goldsmith art and decorative niello metalwork, and so it is but logical that Panerais should be adorned with this art form, too. Embellishing every surface of the PAM 972’s generous 47-millimeter steel case, lugs and signature bridge over the crown are a combination of geometric and floral patterns which stick to Florentine aesthetics — prominently depicted is the lily, a symbol of Florence since the 11th century. And even the crown guard bridge’s mechanism is inscribed with Firenze. Only the bezel, which is polished, remains clear of any décor. 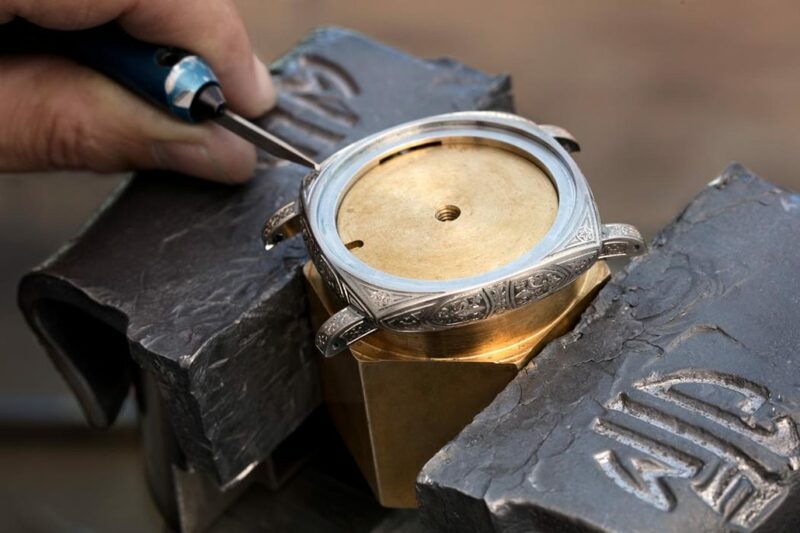 Hand-engraved by artisans, the patterns are first drawn by chalk or magnesium powder before the actual engraving begins — which is not made any easier as the tough AISI 316L steel is quite difficult to gouge. After this, the recesses created are filled with black lacquer, adding depth to the patterns. 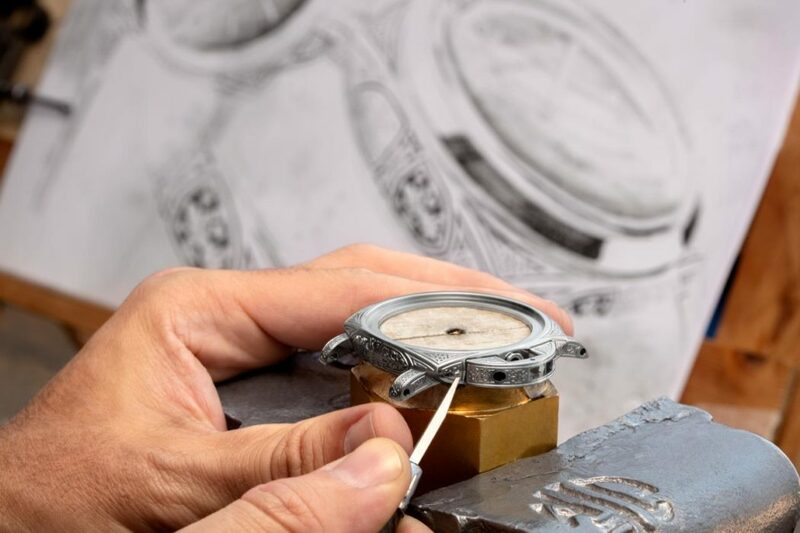 All this takes about a week to finish, with one artisan engraving one watch. This means that there is very little chance, if any, that two watches will have exactly the same rendition of the décor. 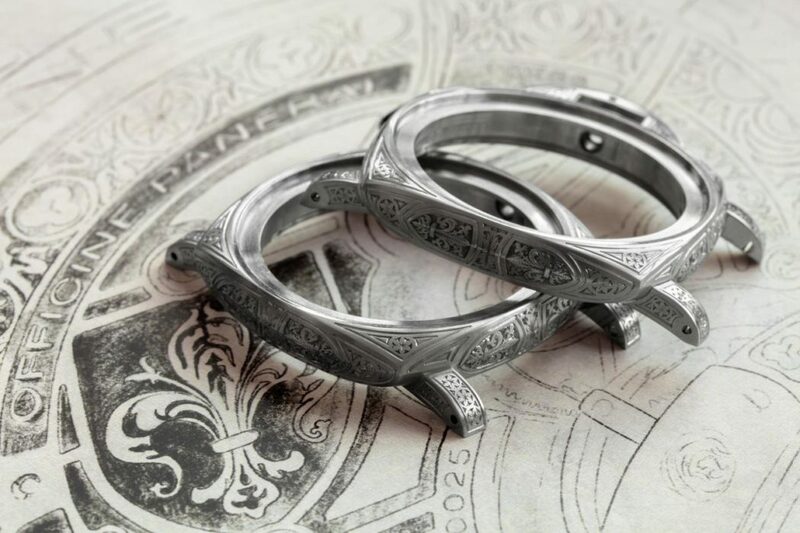 The movement is as equally ornate as the case is, though in this instance the patterns — geometric and lily-themed as they also are — are engraved not by hand but by high-tech laser cutting. 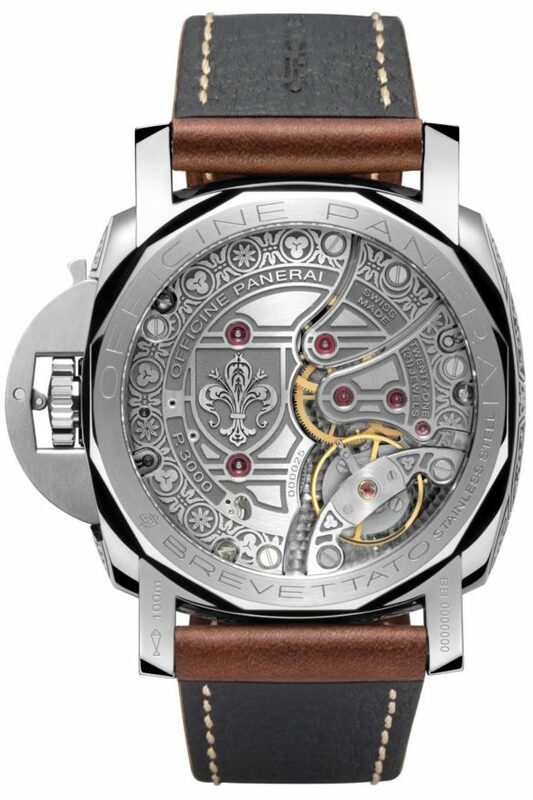 Visible through the sapphire caseback, the patterns fill up every surface of the movement’s bridges. 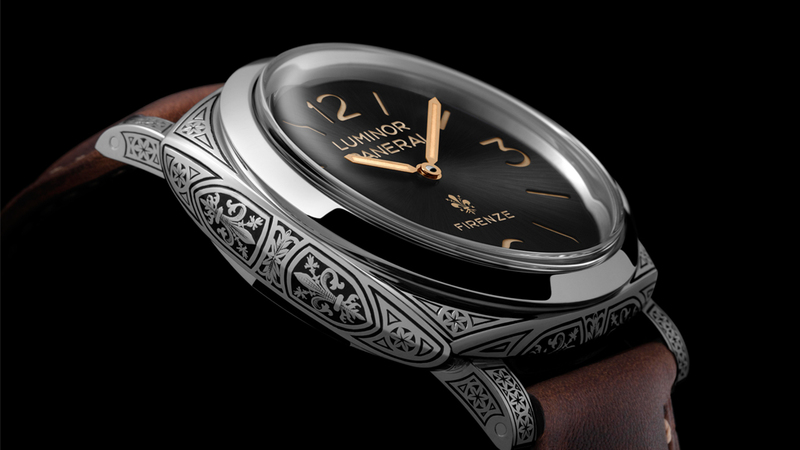 This lushly decorated movement is actually Panerai’s in-house handwound cal. P.3000/F. It is fitted with two spring barrels, which when fully wound keeps enough power to tick the watch for three days. The engraved bridges support the structure of the movement, one of which holds the relatively large balance wheel that spins at 21,600vph. Contrasting with the luxuriant decorations on the case and movement is the simple, dark gray dial that’s defined by large numerals rendered in Panerai’s font, and indices and hands that are as identifiable with the brand. A subtle sunray finishing, plus the Firenze and lily icon markings, add a dash of flair. The sandwich dial, of course, ensures massive amounts of luminescence. As can be expected, the Luminor 1950 Firenze 3 Days Acciaio is a limited-edition piece — only 99 examples will make it to the boutique, each one of which is a flourishing tribute to Florence.